From consolidating merchandise to restocking, our warehouse employees play an integral role in the success of our company. For warehouse worker, Herminio Gutierrez, Core-Mark offers the opportunity to learn from those around him as well as work in a supportive team setting. Learn more about Herminio and his Core-Mark journey today. Why did you decide to work at Core-Mark? I was looking for a good company to work for, and Core-Mark was recommended to me by my brother, who worked as a driver and was recognized as driver of the year. What skills have you learned at Core-Mark? I learned how to drive the stand-up lift. Additionally, I learned how to use the RF scanner and how to receive. 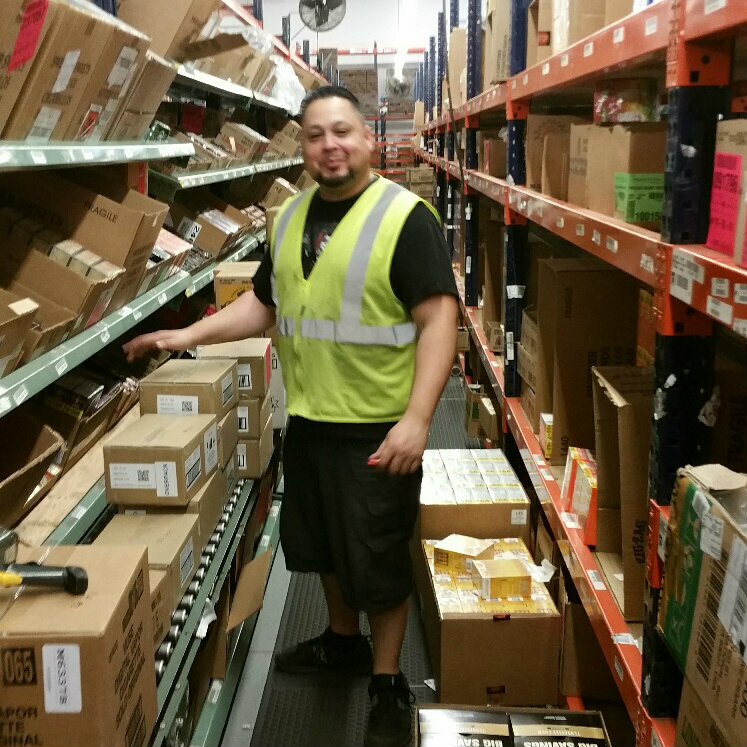 Mastering both skills have helped me greatly in my warehouse role at Core-Mark. I like flexibility of the schedules. I’m currently on the early schedule and it gives me the time I need to get things done during the day. What do you wish more people knew about working at Core-Mark? Core-Mark is a great place to work because of the coworkers. The teamwork we use to accomplish tasks on a day-to-day basis makes me feel supported and allows for more efficient work. What characteristics define a great Core-Mark employee? I feel that several things define a great employee. I think your heart is important – caring about what you do and taking pride in it. Also, having a sense of urgency to get a task done in a good amount of time. Having a team-like mentality when it comes to helping your coworkers; for example, when your job is done, find someone who needs help and help them. Never wait to be told what to do. Taking the initiative is also an important characteristic which can make an employee a superstar. Does this environment of motivating individuals and flexibility appeal to you? If so, find your fit at Core-Mark today by exploring our many warehouse opportunities today!